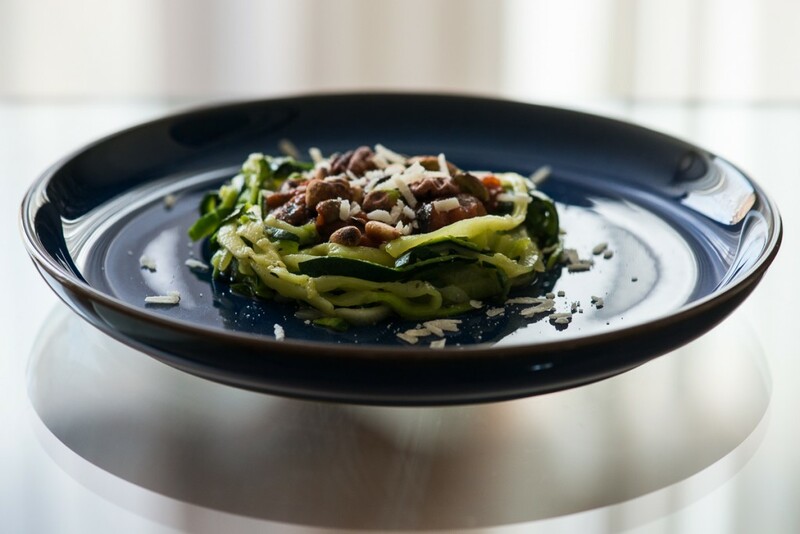 The courgette pasta, courgette cut into long spaghetti strands (you do need a spiral slicer/spiralizer), is wonderful when combined with a flavoursome sauce. This anchovy sauce is both salty and sharp in taste, the perfect addition to this dish! In a dry frying pan, toast the nuts, then add them to the anchovy mix. Using a spiralizer, create spaghetti looking strands from the courgette. Fry the courgette a few minutes on high heat. Serve with some Parmesan cheese. I love making dishes with Courgette Spaghetti. There are so many possibilities. This version is not so spicy in order not to take anything away from the crabcakes. For this recipe, you need a “spiralizer” or a mandoline (with blades to make “juliennes”). 1. 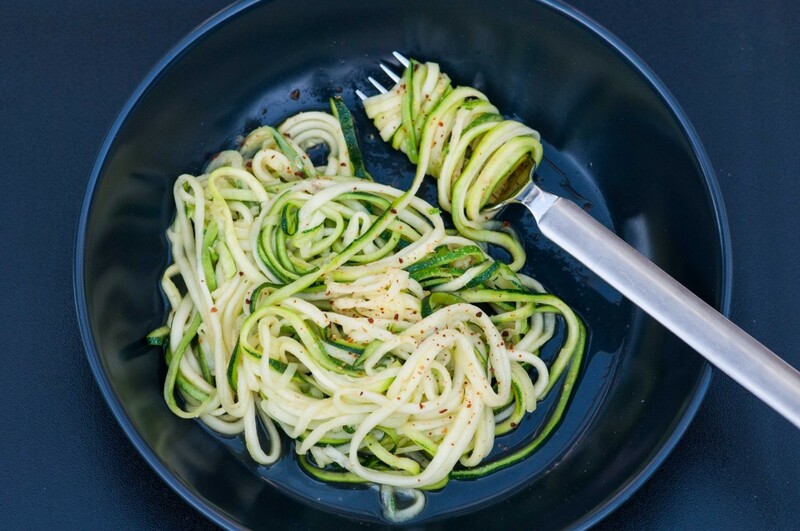 Using a spiralizer, create long, spaghetti like, strands of courgette. Take care not to make them too long. Cut with scissors now and then, if needed. 2. Start by infusing the olive oil. Heat the oil in a pan and add the rosemary and the peeled, whole garlic clove. Sauté for a few minutes. 3. Saving the flavoured oil, discard the rosemary and garlic and place the courgette spaghetti in the hot pan. Fry on high heat for a few minutes, drain on paper towels, season with salt and pepper and serve with some sprinkled chili flakes on top.